It is spring in South Carolina and that can only mean one thing! 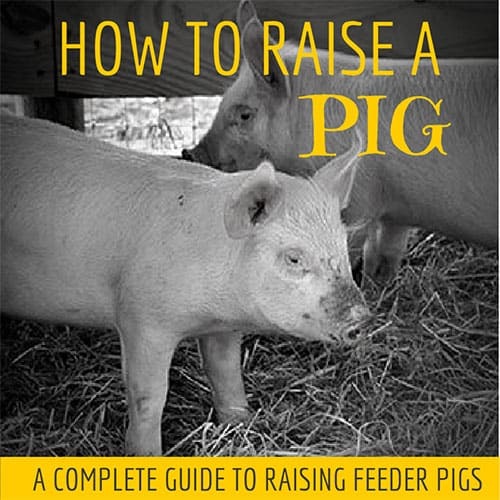 It is feeder pig time and it means it’s time to learn how to raise a pig. Meet Bacon and Ham our newest additions. These little gals are Chester White’s and they are making themselves right at home on our homestead. As with everything, I did much research on how to raise a pig. I found so many great resources I just had to share them with you all. Here are a small handful of the pins and bookmarks I saved on how to raise a pig, I hope you find them as helpful as I did. I just love the Internet and don’t know how we all survived without this great mobile library. 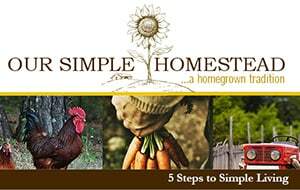 What kind of pigs to raise by Temperate Climate Permaculture – A complete guide to domestic pigs, breeds and terminology. 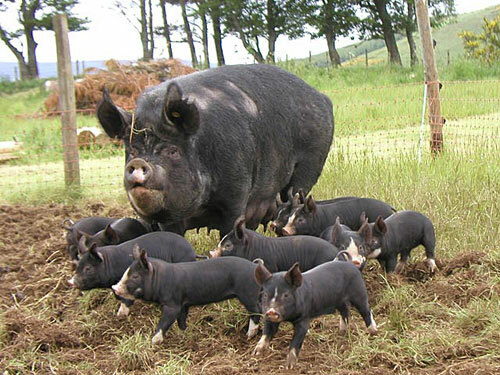 The cost of raising a pig by Sugar Mountain Farm – If you ever wondered how much it would cost to raise a pig, Sugar Mountain Farm has provided a great outline of the costs. This article was written in 2005, but it will give you a good reference on what you should expect. 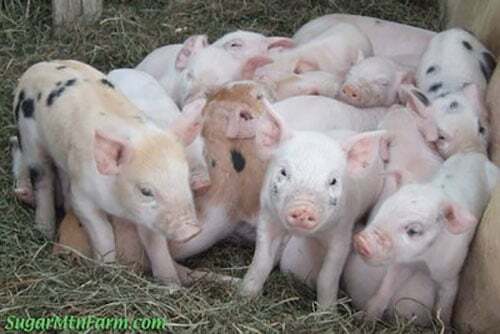 How to build a pig pen by The Homesteading Boards – There are so many different ways you can build a pig pen, but the one thing to remember is pigs are hard on fences so it has to be sturdy and rut proof. They like to dig under the fence and they like to scratch their backs on the poles so make sure what you build will withstand a full grown 300 pound pig. 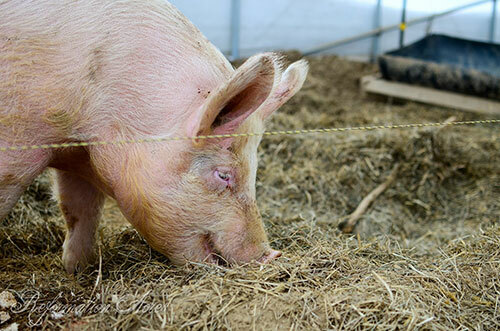 What to feed pigs by The Accidental Smallholder – Pigs are called pigs for a reason and that being they are messy eaters and they eat a lot. 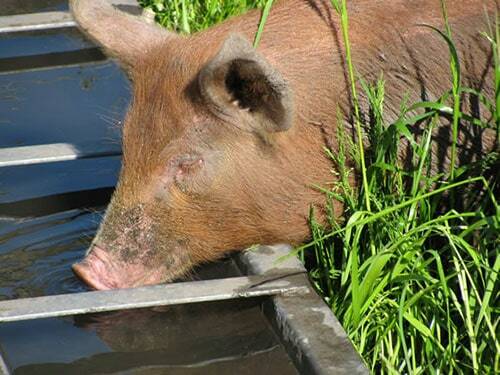 On average, a pig will consume 1 pound of food for every month they are old. They will eat anything! How to weigh a pig by Reformation Acres – A simple formula to estimate the weight of a pig. How to butcher a pig by Itty Bitty Impact – Our pigs, as with everything on our farm serve a purpose. Even though we love playing and visiting with our pigs we know in the fall they will fill our freezer, so learning how to properly butcher was high on our list. 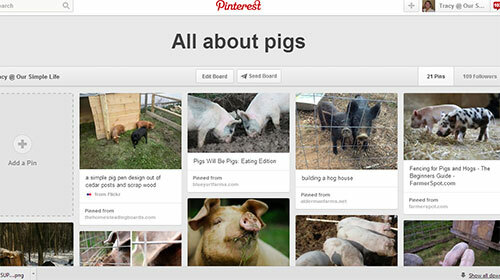 If you are craving even more great information about pigs, feel free to visit my Pinterest Board – All About Pigs. 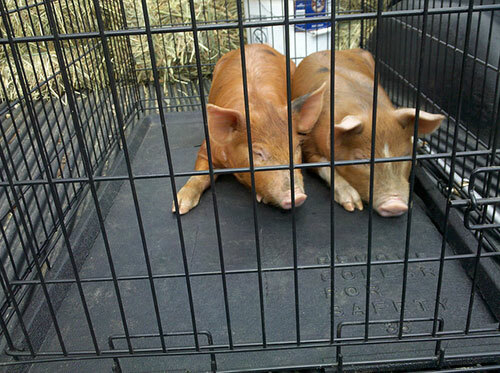 Looking to raise pigs for profit? 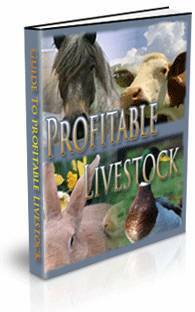 I found this e-book, “Profitable Livestock” an interesting read about all types of livestock and how you can profit by raising them. NextAre you longing for a simpler life? Good info 🙂 Thanks for sharing on The HomeAcre Hop! Hope to see you again today! I love seeing all the cute pigs! And learning about how to care for them! Thank you so much for all of this wonderful information!! It has been very helpful!